With the vines well on their way as small bursts of green covering the countryside (Benji’s favourite time of the year in the vineyard), you can sense a momuntem of the busy days not too far around the corner. Harvest! 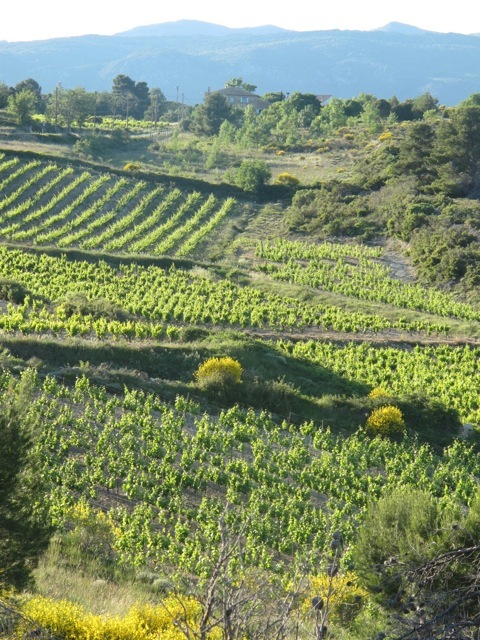 Or ‘Les Vendanges’ as they say here. “En avril, ne te decouvre pas d’un fil… en mai fais ce qu’il te plait” – it literally means that in April don’t wear fine threads but in May you can do as you please (there is a comment for everything here!). As the vines leaves begin to multiply, this combination of humidity and heat means they need some protection. 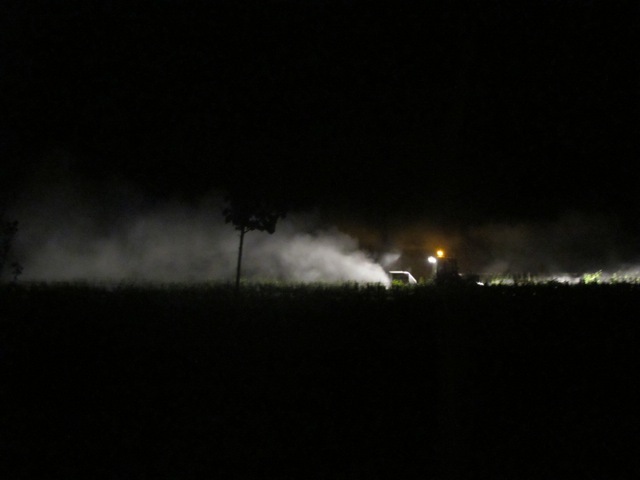 We’ve been spraying copper and powdered sulphur in the vineyards to help keep powdery mildew at bay. We’re also raising the wires in the rows to allow the plants to latch on and continue their growth up and along the trellising. 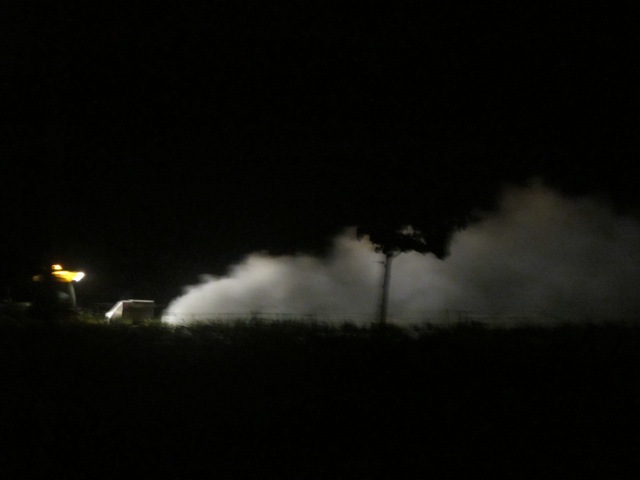 I was locking the kitchen door at around midnight last night when I heard the roar of a tractor heading to the vineyards just next to our house… I opened the door and as I stepped onto our terrace I felt like I’d walked onto the set of Close Encounters! 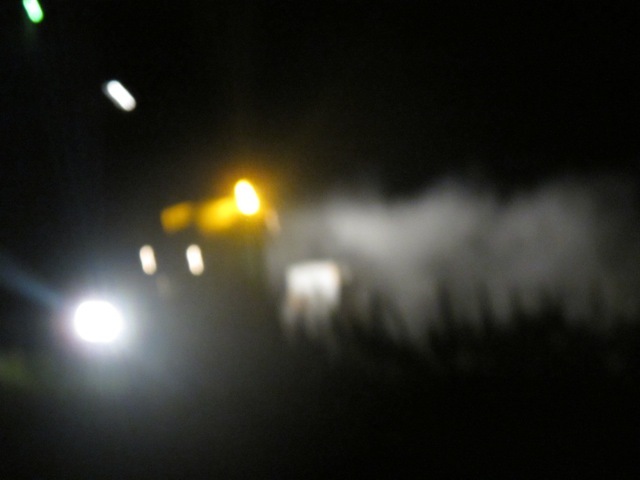 Flashes of orange and white lit up the black sky as I started to recognise the form of the tractor. It’s an impressive site, watching the headlights of the tractor searching down the rows leaving a wake of white mysterious cloud in the pitch dark of the night! I was so excited I grabbed the camera. 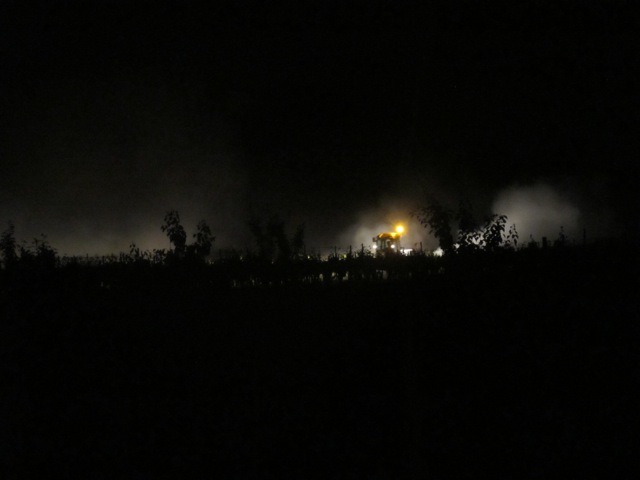 It’s often the best time to treat the vineyards – in the middle of the night – as there’s little or no wind which allows the powder to rest directly on the plant. So not an unidentified object afterall, but certainly more sightings to come.